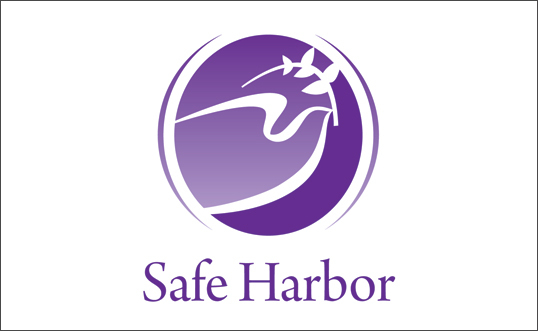 Project Details: Safe Harbor is a local Richmond organization that has dedicated itself to ending domestic violence of all forms in our community. They wanted us to create a new logo for them that was clean, elegant and conveyed a sense of reverence. We came up with several versions and ended up going with this classic symbol of a dove carrying an olive branch, protected by the surrounding purple sphere. 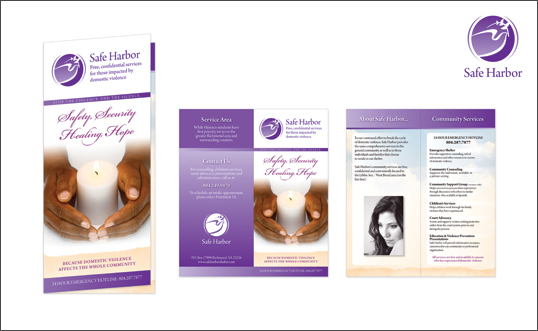 In addition to the logo, we also designed a brochure for Safe Harbor which uses a soothing color palette and simple, elegant typography.